An exciting and stressful week is coming for many meteorologists around the country. As you can see from the title, we are looking at our possible 2nd snowstorm of the year Thursday and Friday. 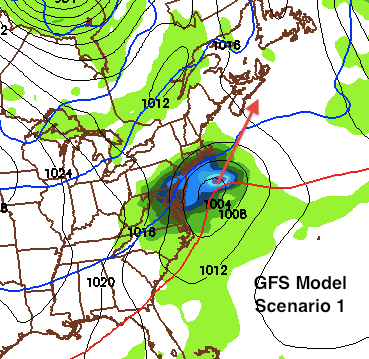 Many models have been showing some sort of nor’easter later this week. 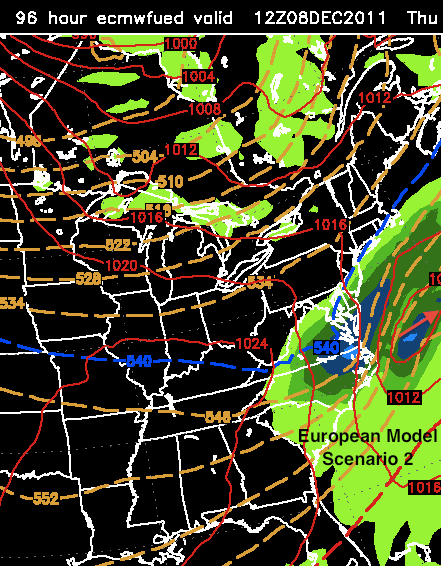 The storm will come from piece of energy associated with a cold front that will sweep past the area on Wednesday. After the cold front moves through, a nor’easter is expected to form. 1. How much cold air will the storm bring in? We all know from October that we don’t need much cold air aloft to create a major snowstorm. 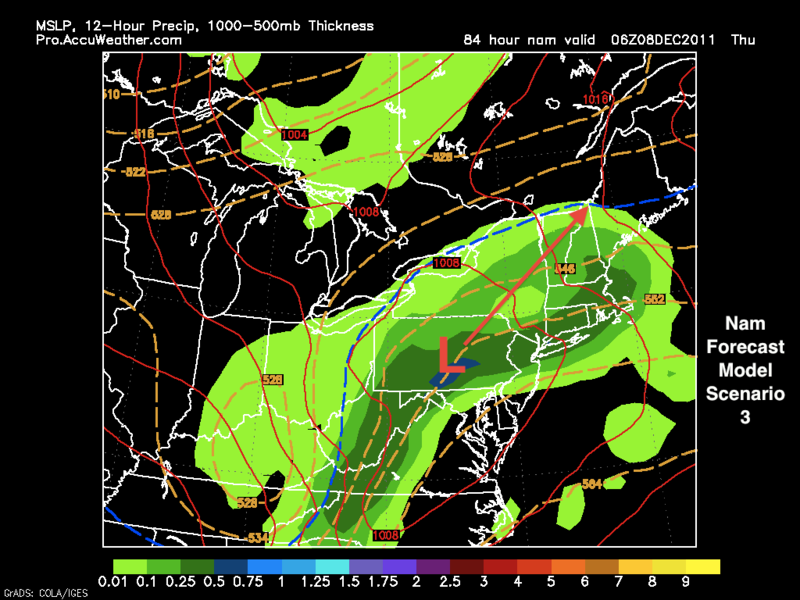 So, if the storm takes a favorable path, it should be mostly snow (maybe a little sleet at times). 2. Where will this storm go? Scenario 1: The storm takes the benchmark (favorable path). Strengthens rapidly and brings in cold air. Significant snows possible from this scenario. Scenario 2: Storm does not strengthen and does not wind up. Jet flattens out and storm goes out to sea. Minimal precipitation likely from this scenario. Scenario 3: Storm goes inland. Strengthens sooner than expected and rides the cold front before it passes through the area. This scenario would bring us a nice rainstorm. All three of these scenarios are possible at this point. As we progress through the week, I will be able to narrow it down to two, then one scenario. Stay tuned.